Aiming to grow the reputation and broaden the influence of domestic-owned brands, China’s State Council approved the request for a Chinese Brands Day submitted by the National Development and Reform Commission and designated May 10th as the “Chinese Brands Day” starting from 2017. The set-up of China’s Brand Day is a reflection that China is determined to build and support domestic-owned brands. Thanks to reform and the opening up of China’s economy more and more Chinese businesses have emerged and thrived during the 21st century. Based on the report of the Top 100 Most Valuable Chinese brands released by Kantar Millward Brown, the past year has seen the value of the top 100 brand increase by 6%. This combined with an average increase in share price of 76% demonstrates the pace of growth Chinese brands are currently experiencing. Within FMCG (Fast Moving Consumer Goods) local brands are outpacing the growth of foreign-owned brands. The year of 2015 witnessed the continuous growth of domestic-owned brands among 16 categories, with a drop in only 7 categories. According to the top ranked brands based on consumers reached (from Kantar Worldpanel’s Brand Footprint report) during 2016 the top 10 brands in China are all domestic brands, an indication of the strong momentum these brands are experiencing within FMCG. As the prestigious medicinal brand in China, the toothpaste made by Yunnan Baiyao aims to protect gums and has built a strong proposition in the minds of consumers. Considering this, in spite of a higher price versus the competition, the brand has seen a consistent increase in penetration over the last few years. 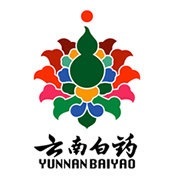 For every four households in National Urban China there will be one of them who has purchased the product of Yunan Baiyao in 2016 and this has enabled Yunan Baiyao to become the dominant force in the category of mouth care. Pechion, recognized as the time-honoured national brand, reinvented its brand image by focusing on the idea of “herbal skin-care” as well as investing more on its premium product line. 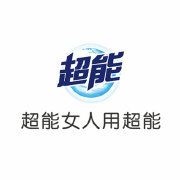 The brand also sponsored popular TV shows, such as “the Voice of China”, which helped to build more awareness amongst younger consumers and grow its penetration. Recent years have marked the rapid development in the Chinese bottled water market, with premiumisation as the underlying trend driving growth in this category. In this regard, not only does NongFu Spring intensify the quality control over the source of its water, but it has introduced baby-oriented water, four-season bottled water and other premium products. 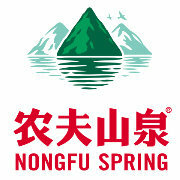 Nongfu Spring was chosen to supply the recent G20 Summit with natural drinking water, mineral water and fruit juices which put the brand on the world stage and further premised the brand image. Established three years ago, SeeYoung was the one of the pioneers of the “silicon-free” trend in the shampoo market where foreign-invested and imported brands have historically dominated this category. 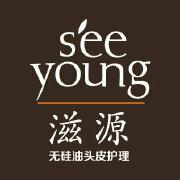 Through continued investment and a strong innovation pipeline, SeeYoung’s turnover has outnumbered that of other premium counterparts, such as Schwarzkopf and Shiseido, and the brand has already become a key player in this very competitive market. As growth in the physical retail market slows down, local retailer Yonghui has bucked this trend and has seen rapid growth as it expands its footprint across China. For sixteen years in a row since its birth, Yonghui has been dedicated to only one thing: self-revolution. This has involved Yonghui’s expansion into other business as well as the opening of new stores and new store formats such as ‘Super Species’ which is an innovation in the online to offline space. The remarkable pace of growth continues and is the only retailer to see share growth amongst the top five retailers in quarter 1 this year. Domestic-owned brands have edged into the top 3 brands, based on penetration, within the category of clothes and washing products. 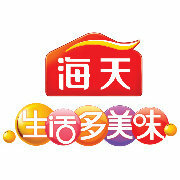 “Chaoneng” is one example and has been favoured by a growing number of housewives, owing to the marketing of “Chaoneng women”, and has been bought by over 1/3 households in 2016. 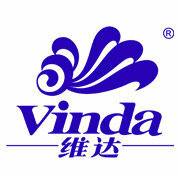 Vinda’s success in becoming the leading brand in the paper products category is due to many factors, such as its high quality of products and more premium positioning, constant extension of product lines, and continuous marketing campaigns tailored to families, parents and children. As of 2016, Vinda China Trip has been under way for four years. Through surveys about parents and children relations and a series of online and offline activities, Vinda exhibits social responsibility as well as superior product quality, and this has helped the brand attract an additional 1.5 million families. In the condiment market in China, Haitian is a brand worthy of admiration. For it has experienced the public-private joint management, transformation of business system and going public, starting from its birth in Gujiang Park in Foshan, Guangdong province. Haitian has expanded its business with a rapid pace, stepping outside of Guangdong to the regions of eastern and northern China as well as gaining a foothold in the mid-to-west region. With its penetration climbing to 70.2% in 2016, Haitian has emerged as an essential brand for many families and can be found in the majority of kitchens in China. As a traditional daily use chemical enterprise, Walch’s success derives from its acute insight into driving sales via online. In 2013, the penetration rate of FMCG e-commerce reached 29%. Three years later, it surged to 55% in 2016. 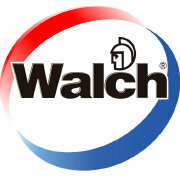 It was in the year of 2013 before the boom of FMCG e-commerce that Walch rapidly built their presence on line. Currently Walch’s revenue online is almost half that of its offline revenue, and the brand has extended its online offering to categories such as shampoo, toilet soap and body wash. This has helped the brand to increase its consumer base by two million households over the last year. Consumers are changing their views towards Chinese brands. 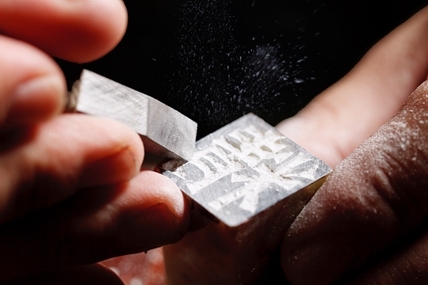 Many Chinese brands are no longer seen as inferior in product quality or outdated in their brand image. Consumers are eagerly anticipating the new innovations and product lines and many are willing to pay more. This changing view can be seen from the results of the BrandZ™ Global Survey on Chinese National Image. In 2013 when we asked consumers about the quality of Chinese products, two thirds of consumers said they had doubts over the quality. In 2015 this number had reduced to 50%. Similarly, in 2013, only about one third of consumers took confidence in Chinese goods while 38% of them did so in 2015. All this indicates that, despite the fact that concerns still exist, attitudes towards Chinese brands are rapidly changing for the better. In summary as Chinese enterprises improve their capability and with stronger support by the government, shown by the first Chinese Brands Day, we have every reason to believe that local brands will continue to prosper and outpace the growth of many foreign brands over the coming years.